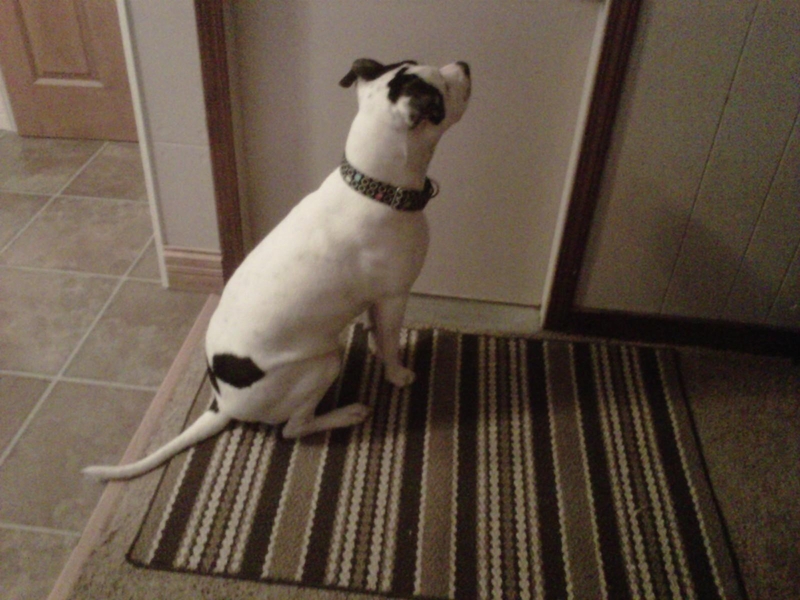 When he hears the garage door opener he knows Mommy will apprear soon. Athena totally does this too! Aww whenever I come in from the garage I'm always greeted with 2-4 delighted wagging tails and faces. Look at Ray's wonderful manners!